I copied this from several sources but I think it is important for everyone that has pines to know about this blight!!!!! 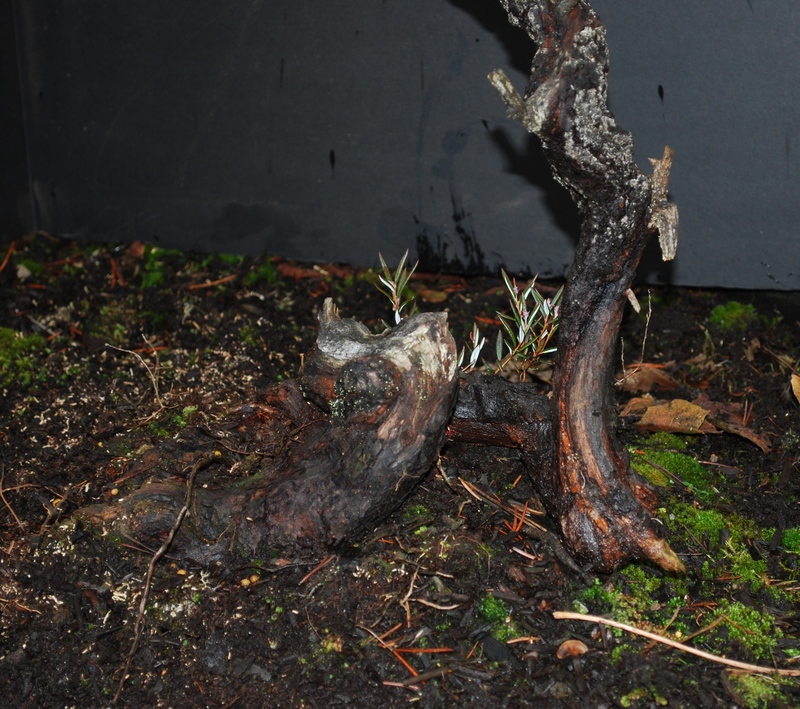 Dothistroma needle blight is caused by the fungus Mycosphaerella pini Rostr. 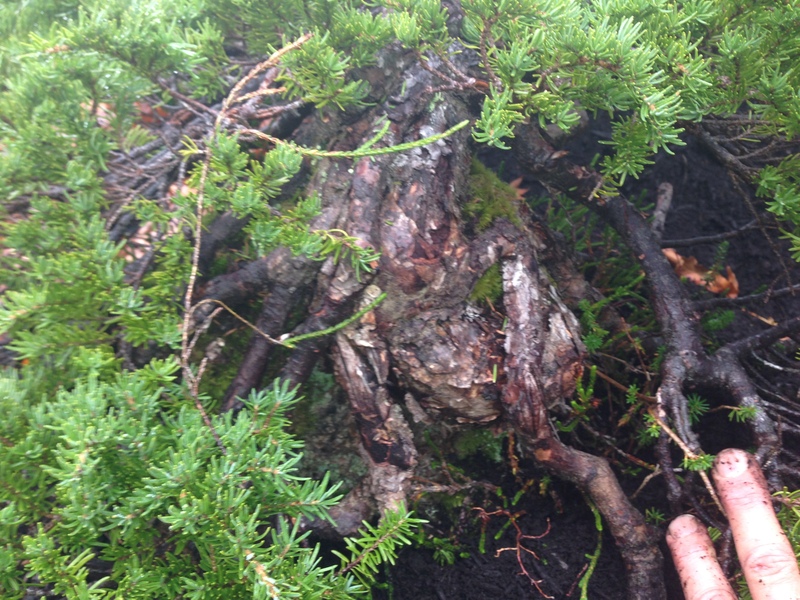 This common pine pathogen kills needles of all ages and can weaken or kill Austrian pine trees. Recently, we have also found Dothistroma on white pine. The main symptom is dead needle tips beyond the yellow to tan needle spots. These spots enlarge to form distinct brown to reddish-brown bands. 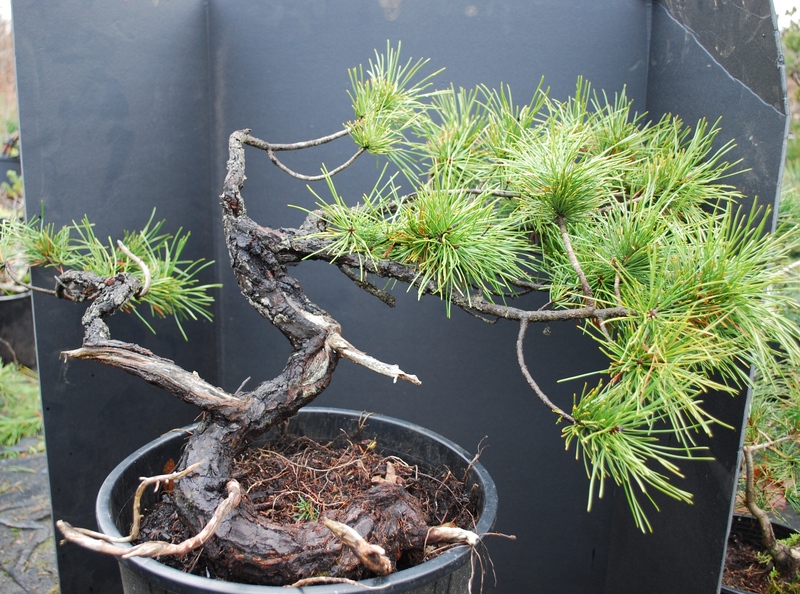 Needle tips turning brown on Austrian pine. The black fruiting bodies of the fungus can be seen in the dead spots or bands on the needles. The spores spread by wind and rain and can infect needles throughout the growing season. New needles are susceptible once they emerge from the needle sheaths. The black fruit bodies appear in the fall; however, the spores are released the following spring and summer. 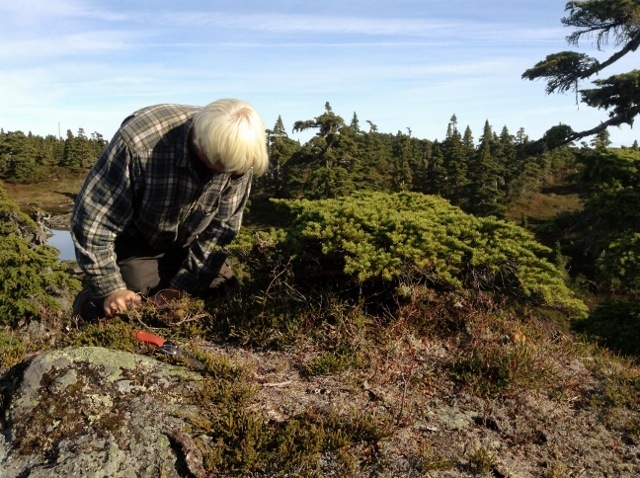 The best protection of new needles can occur when applying copper-based materials as the new needles emerge from the needle sheaths and as the spores are released from the fruiting bodies. To protect foliage from infection, apply a registered fungicide containing copper or mancozeb in mid-June through mid-July. This year (2013), you might start earlier since trees are ahead of normal. Repeat the application two or three times as needed at seven- to 10-day intervals. Some people refer to this as Red Band Disease. Early symptoms consist of deep-green bands (fig. 2) and yellow and tan spots on needles. The deep green color of bands does not last and cannot be detected unless observed at the onset of symptom development. Later, the spots and bands turn brown to reddish brown (fig. 3). 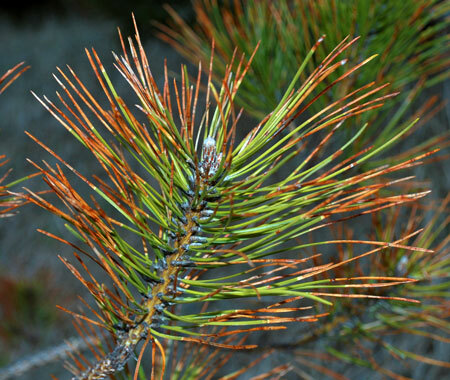 The bands are brighter red and more numerous on pines in California, Oregon, Washington, and Idaho, where this disease is often referred to as the “red band” disease. Figure 2. 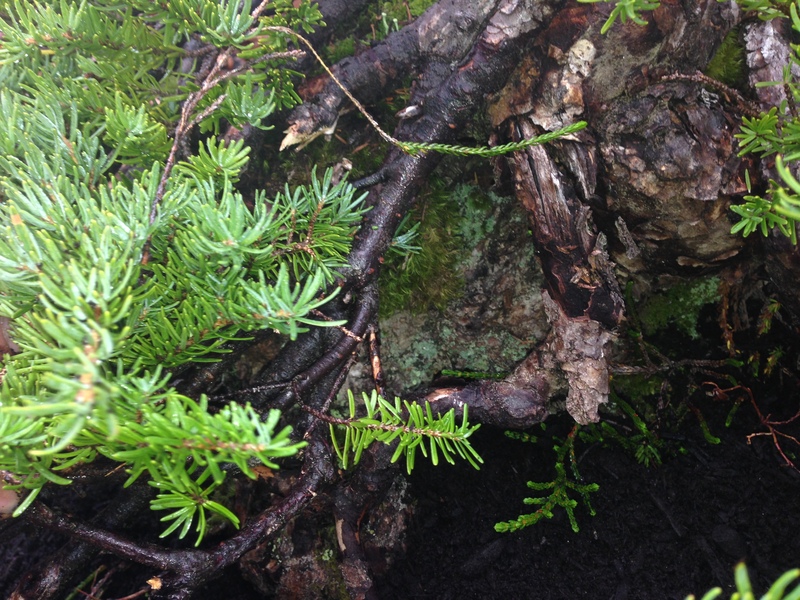 – Early symptoms (deep green bands) on Austrian pine needles infected withDothistroma pini. Figure 3. – Spots and bands on Austrian bands) on Austrian pine needles infected pine needles infected with Dothistroma pini. Figure 4. 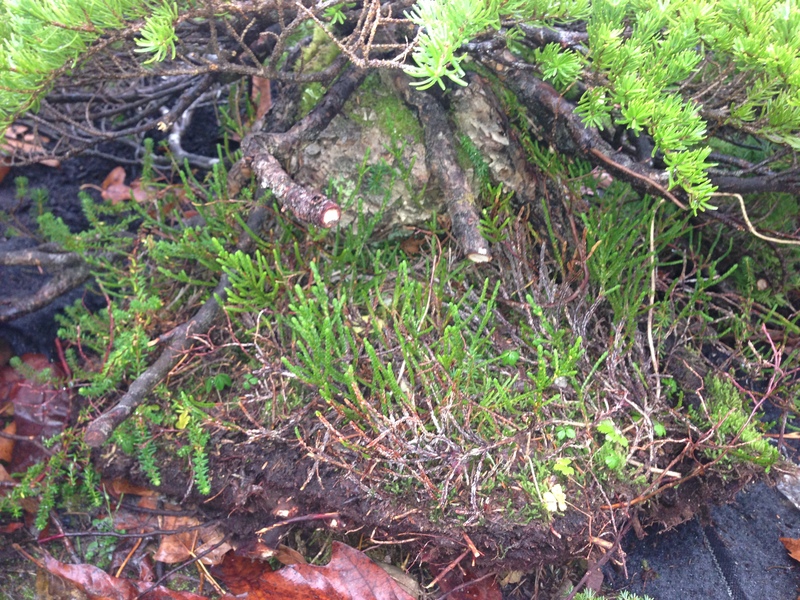 – Typical appearance of infected Austrian pine needles: needle tips brown, needle bases green. The ends of infected needles progressively turn light green, tan, and brown, with the base of the needles remaining green (fig. 4). Needles may develop extensive necrosis (browning) 2 to 3 weeks after the first appearance of symptoms. Infection is typically most severe in the lower crown (fig. 5). Figure 5. – Dothistroma pinidamage severe in lower crown. Infected needles drop prematurely. Infected second-year needles are cast before infected current-year (first-year) needles. 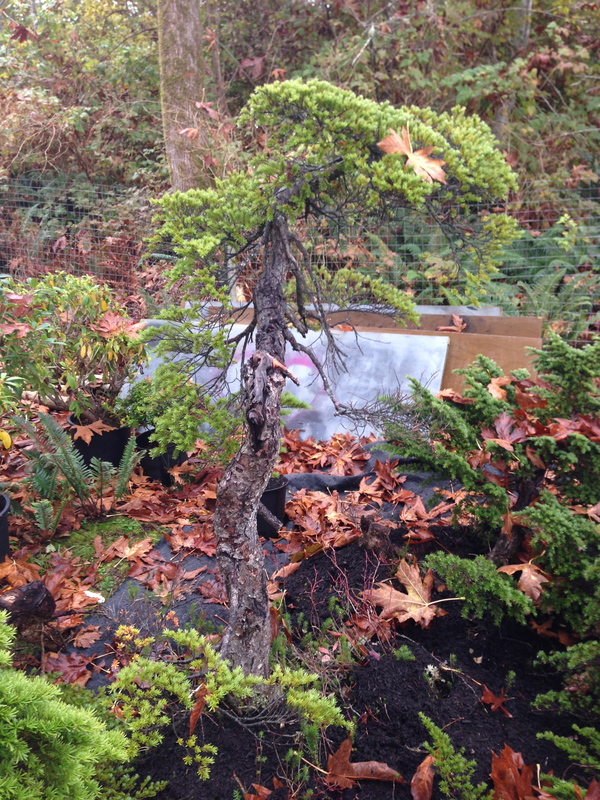 In some seasons, second-year needles are cast in the late fall of the year they became infected. 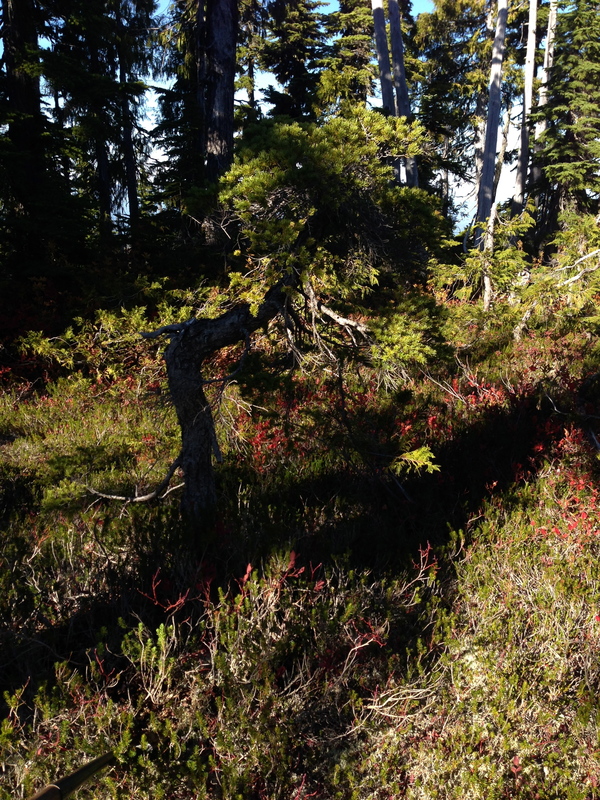 In other seasons, loss of second-year needles is not extensive until late the following spring or early summer. Needles that become infected the year they emerge often are not shed until late summer the following year. Successive years of severe infection result in decreased growth and, ultimately, death. 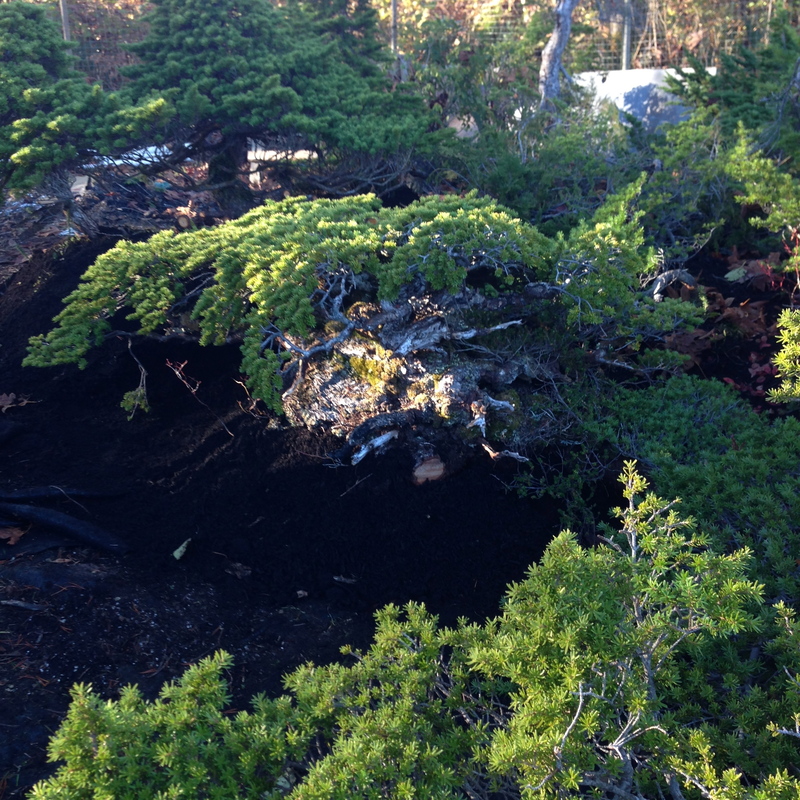 The disease makes pines in landscapes unsightly and pines in Christmas tree plantings unmarketable. Dothistroma needle blight can be mistaken for brown spot disease caused by the fungusScirrhia acicola. The symptoms on needles are similar. With both diseases, trees are affected first in the lower crown. The dark stromatic fruiting bodies of D. pini and S. acicola look alike after they have erupted and split the epidermis. When a common host is involved; these two fungi can be distinguished only by microscopic examination of conidia. The conidia are somewhat similar in shape and size, and both have cross-walls. However, conidia of D. pini are hyaline whereas conidia of the brown spot fungus are colored, usually a greenish brown. These two fungi have several hosts in common. 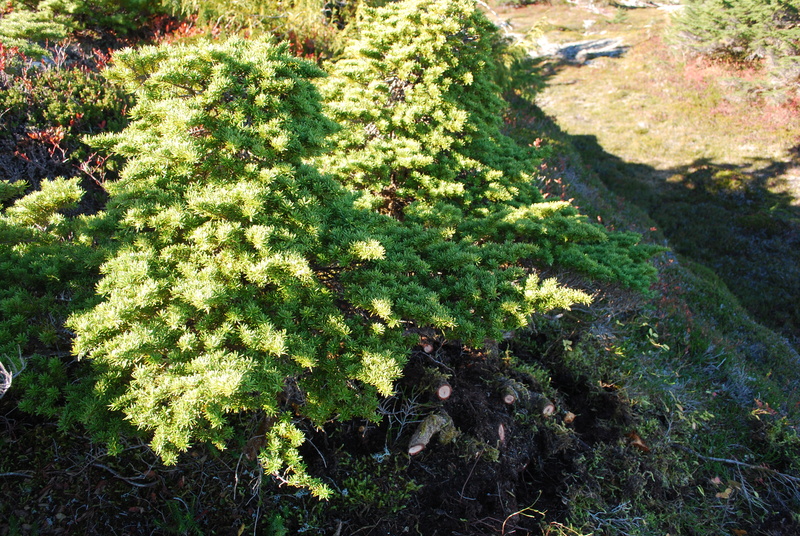 However, Scots pine, which is severely damaged by the brown spot fungus, is rarely infected and seldom damaged seriously by D. pini. 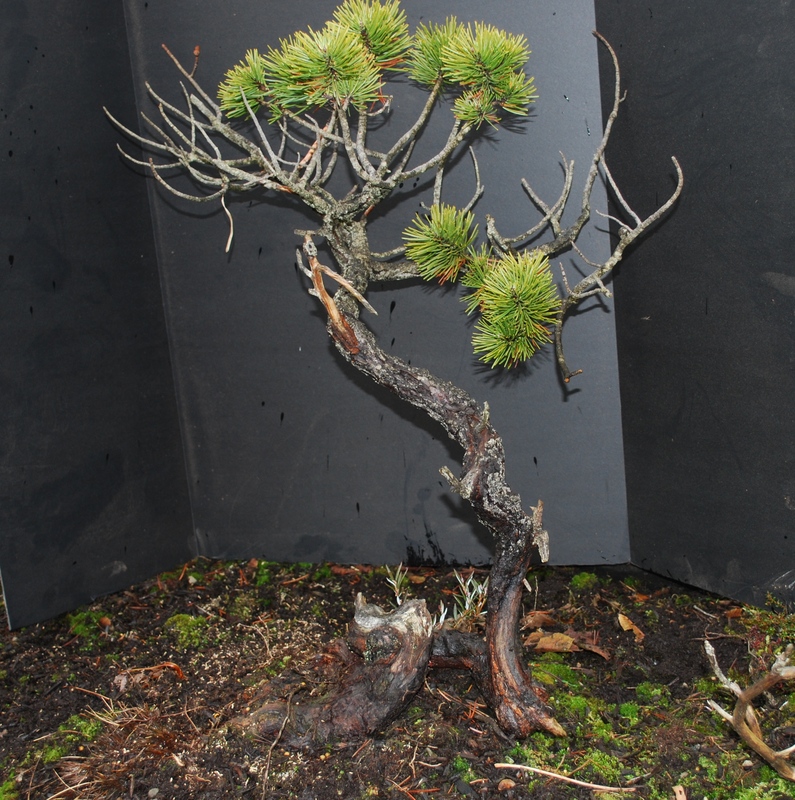 A plantation of 36 geographic sources of Scots pine in eastern Nebraska has remained free of Dothistroma blight, but an adjacent plantation of Austrian pine has been severely damaged. Figure 6. – Conidia ofDothistroma pini. The fungus has both a sexual stage (Scirrhia pini) and an asexual stage (Dothistroma pini). In the United States, the sexual stage has been found only in Alaska, California, and Oregon. The stromata of the sexual stage produce ascospores, whose role in the development of epidemics is not known. Much is known about the role of conidia (spores produced by the asexual stage) in disease development (fig. 6). Conidia from Western States are considerably longer on the average than those found elsewhere in the United States. These differences in length of conidia have led to a designation of three varieties of the fungus: linearis, the longest spored form, is found in Western States; pini, the shortest spored form is found in Central and Eastern States; and keniensis, with conidia intermediate, is found in East Africa. Conidia are borne in stromata (fruiting bodies), which develop below the epidermis of needles (fig. 7). In the Central United States, stromata may develop sufficiently in the fall to raise and split the epidermis. They generally do not mature and produce conidia until the following spring. The epidermis is split longitudinally along two sides of the dark stromatic bodies, with a fragment of the epidermis often adhering to the top of the fruiting bodies. The conidia are exposed as the epidermis is raised. They are released during wet weather and dispersed by rainsplash any time during the growing season. Thus, new infections can occur any time it rains from May to October. However, symptoms do not appear on newly infected needles until early fall in the Central United States. Figure 7. 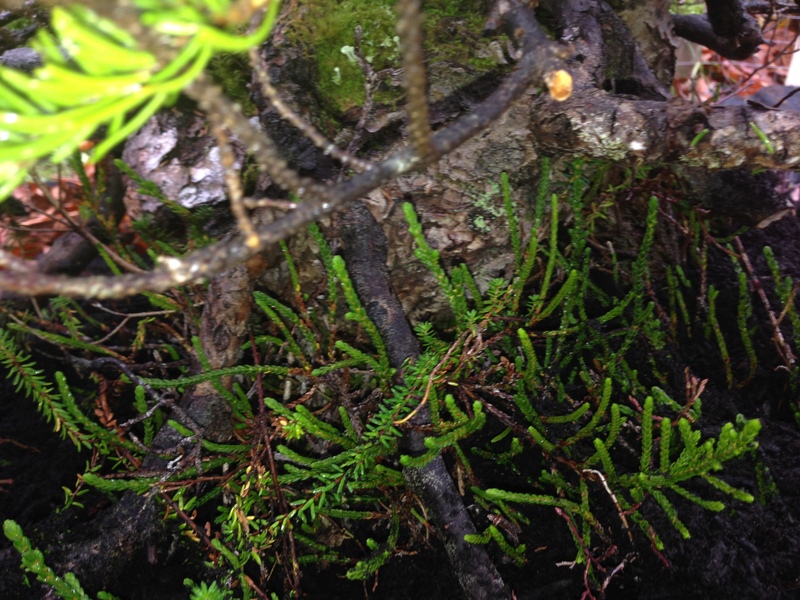 – Fruiting bodies ofDothistroma pini raising the epidermis of needles. Two growing seasons are required for completion of the life cycle in most areas of the United States; although in California and Oregon, the cycle may be completed in 1 year. In these States, the period between infection and appearance of symptoms is much shorter than in other States. Copper fungicides effectively prevent infection by D. pini. 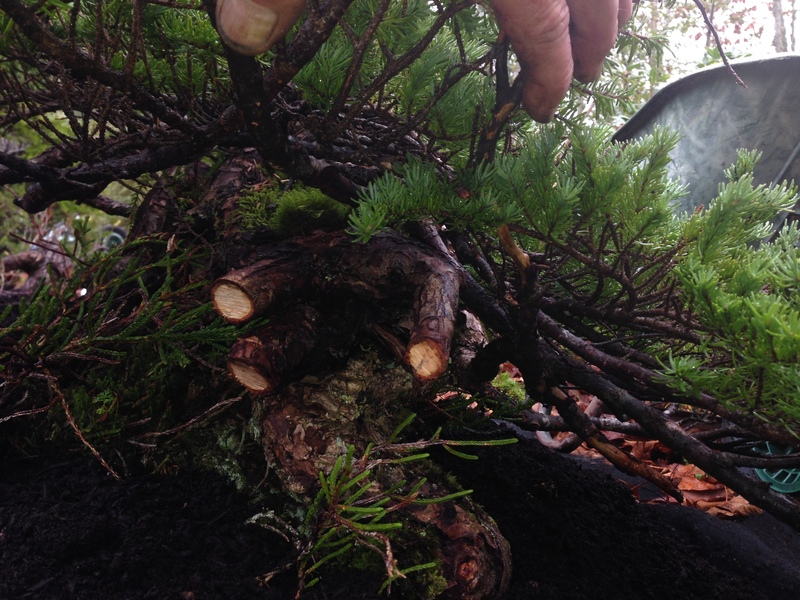 Bordeaux mixture applied twice in the growing season has provided good protection of pines in shelterbelt, Christmas tree, park, landscape, and other plantings in the Central United States. Chlorothalonil is also registered for use against D. pini. Fungicides containing copper salts of fatty and rosin acids, however, are registered for control of Dothistroma blight only in the North Central States. 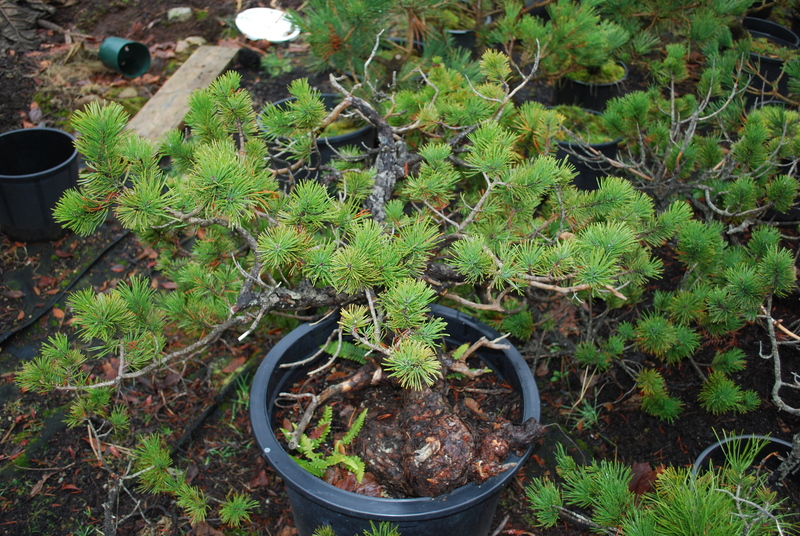 The first application (mid-May) protects needles from previous seasons; the second application protects current-year needles. 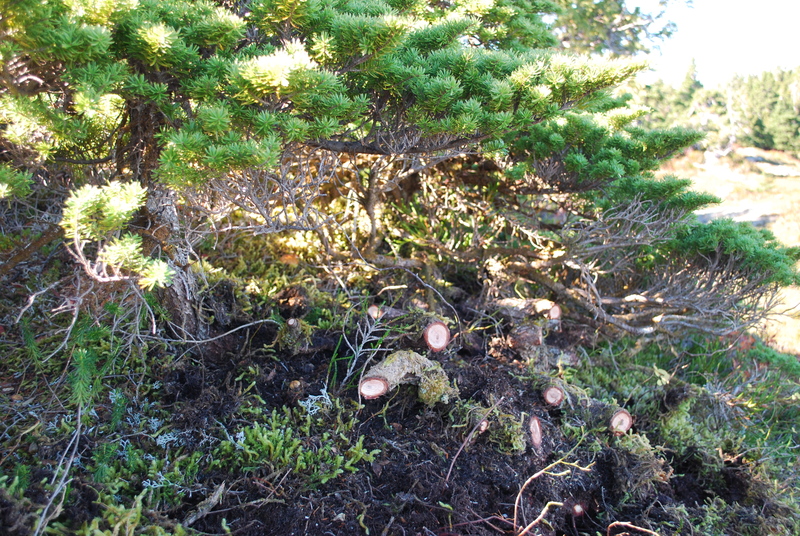 When control is intended for plantings of Austrian or ponderosa pines, the second application can be made after considerable new growth has occurred because current-year needles of these species initially resist infection and do not become susceptible until midsummer (July). Effective control has also been obtained in plantings in the Central United States with a single application made after considerable growth has occurred (early June). There is some risk in this procedure, since infection would occur in previous years’ needles before the early June application. A single application will control this disease on trees that do not have susceptible current-year needles. Many Christmas tree growers in the Central United States are effectively controlling Dothistroma with a single fungicide application. Annual spraying for control of Dothistroma blight is unnecessary in certain types of plantings. Because control of this disease can be obtained with fungicides, managers can risk not spraying in park, residential, and similar types of plantings. If infection occurs during a year in which fungicide has not been applied, fungicide can be applied the next year with confidence that good control will be obtained. If little or no infection occurs the year fungicide was not applied, spraying can be skipped for another year. On the other hand, Christmas tree growers should probably not skip spraying any years because of the high possibility of great financial loss. Procedures for control of the disease in the Western United States will differ from those that are effective in the Central United States because of differences in the life cycle of the fungus, hosts, growth, and weather. 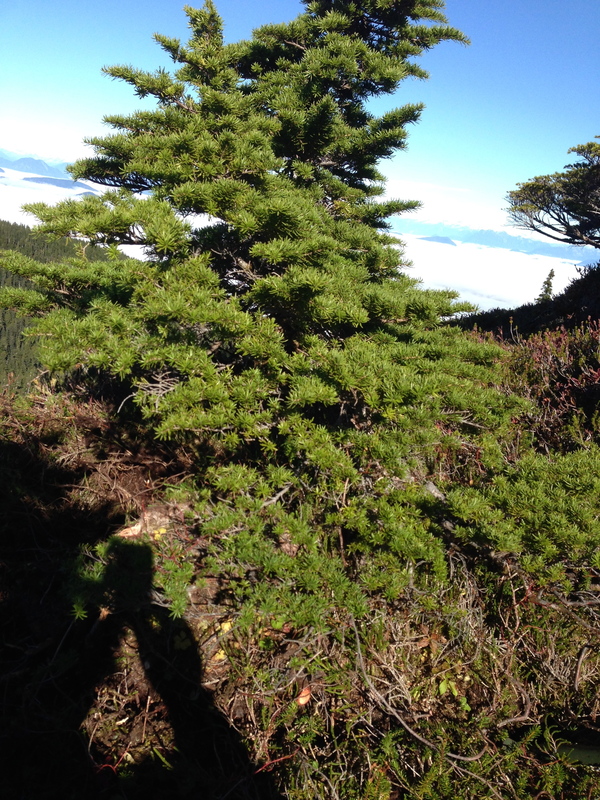 Experience with this disease in Christmas tree plantings of shore pine in Oregon indicates that fungicide should be applied earlier than in the Central United States. The use of genetic resistance looks promising for preventing or reducing damage by this fungus. 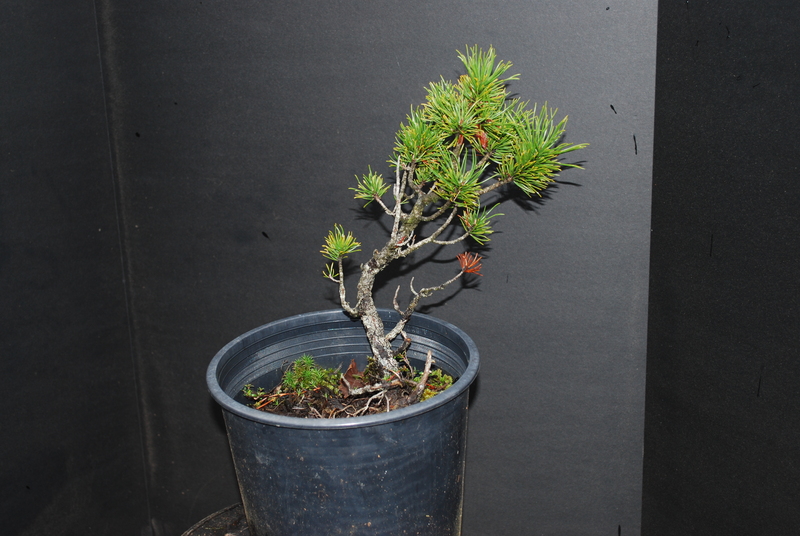 Resistant strains or clones have been identified in Austrian, ponderosa, and Monterey pines. 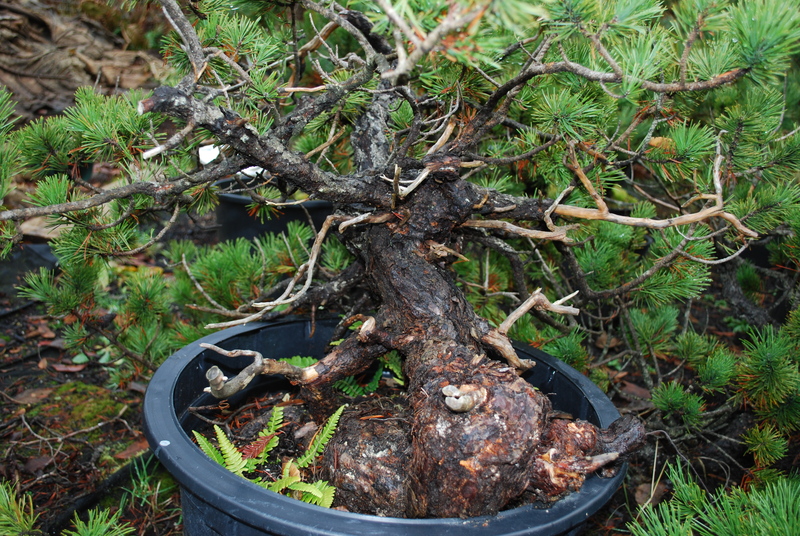 Seed from a Yugoslavian source, which has shown high resistance, is currently used to produce Austrian pines for Great Plains plantings. 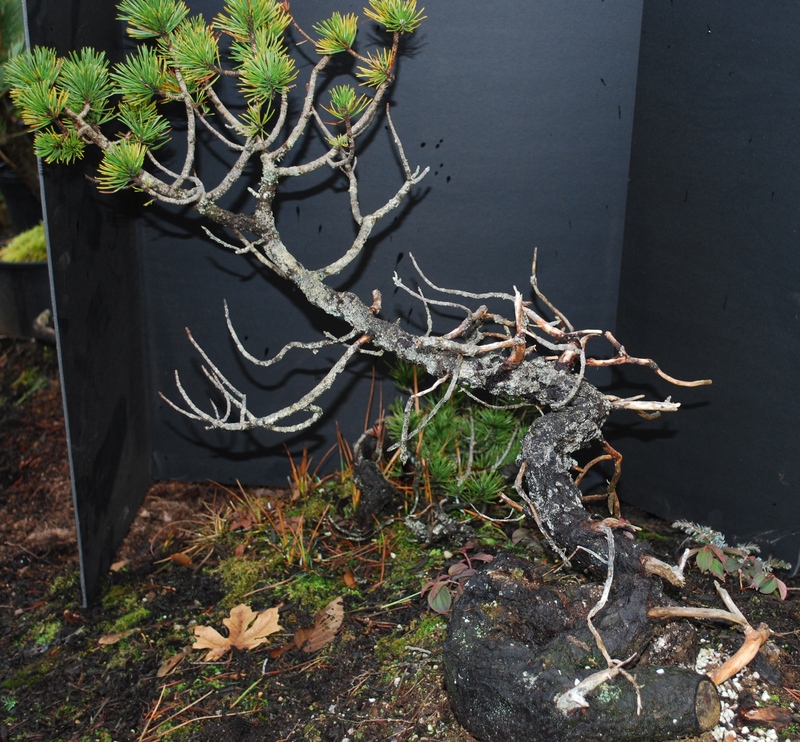 Recently, several geographic sources of ponderosa pine have been identified as having high resistance. 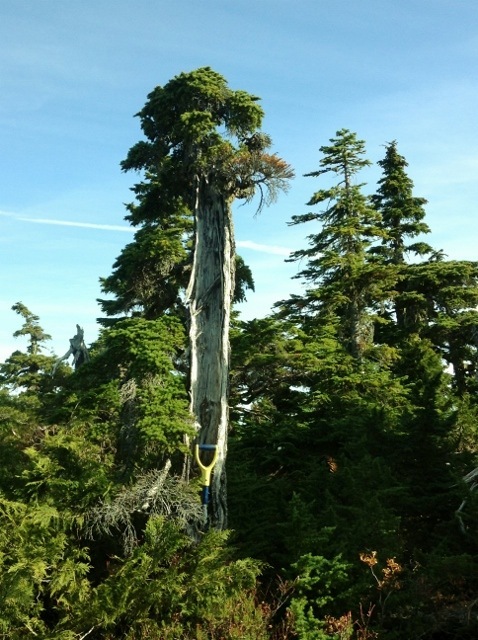 Needles of all ages are highly resistant on some trees. 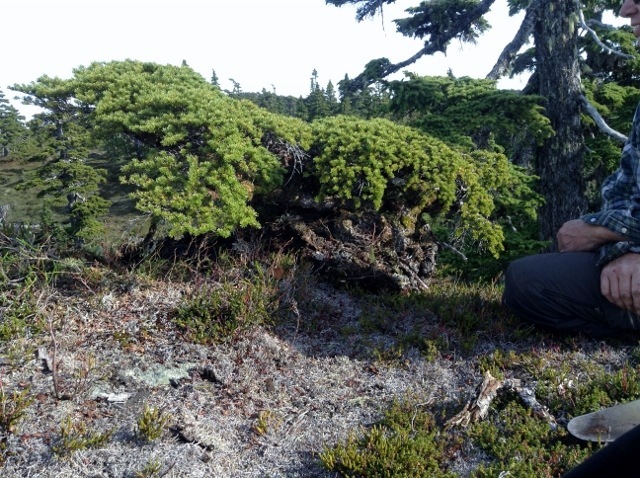 On other trees, current-year needles are resistant, but older needles are susceptible (fig. 8). 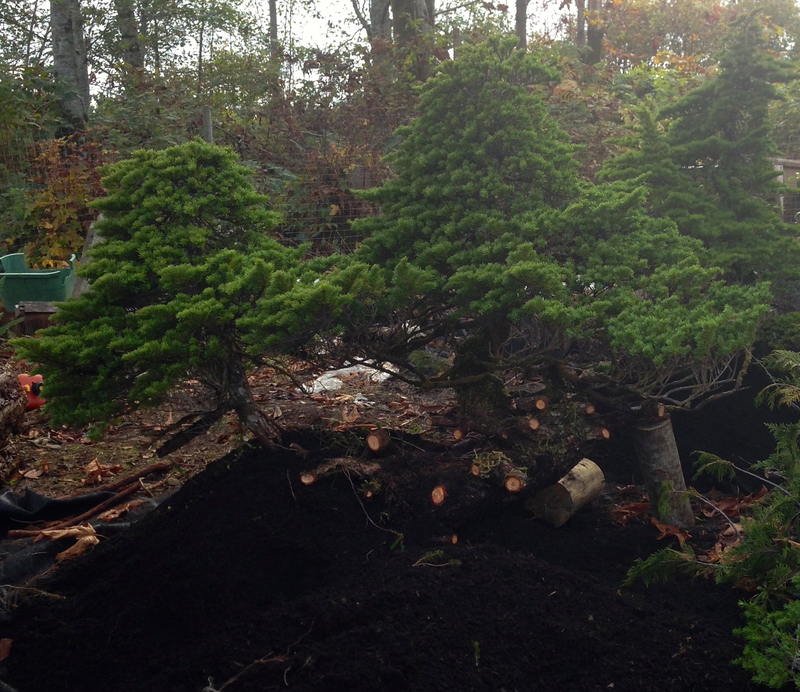 Now that he is dead, apparently by his own hand, you wonder if Bob Deryk — Bonsai Bob — just couldn’t stand the idea of going to prison, of losing his wilderness home. A childhood in a Japanese concentration camp had left him with a lifelong fear of being locked up again. 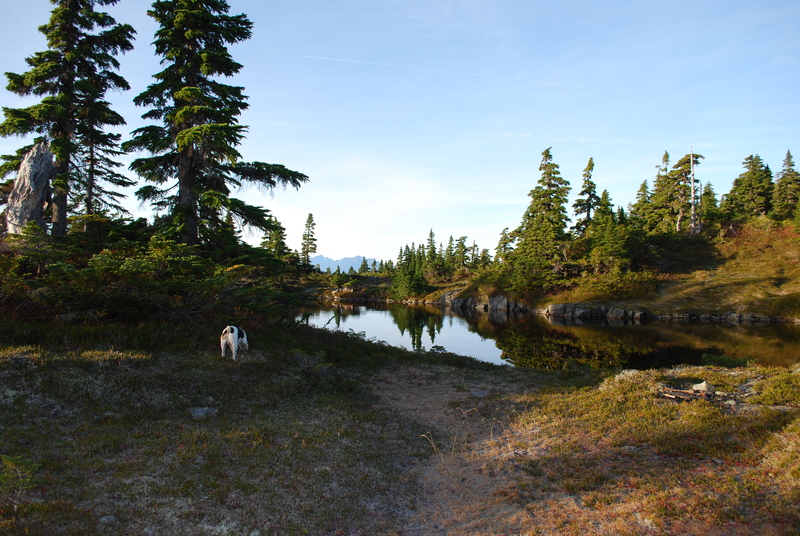 The experience shaped his life, and brought him to the unfenced, uncrowded refuge he carved out of the forest beside the Sooke River almost 20 years ago. His body was found just a stone’s throw from his cabin on the weekend, less than two weeks after it was learned he had, at age 74, been charged with sexually assaulting two minors. News of his arrest bewildered some of his friends and outraged others. “He was a popular man in the community,” Staff Sgt. Stephen Wright, the head of the Sooke RCMP detachment, said Monday. In truth, without knowing more about the case — privacy rules prevent police from saying much — it’s hard to either defend or condemn Deryk. What is known is that his story had a sad start and a sad end. 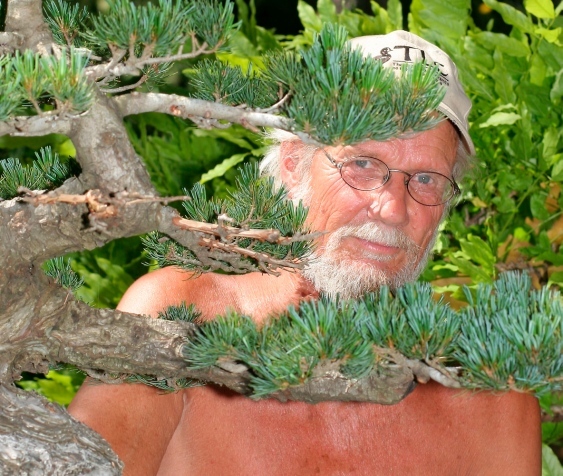 He told the tale seven years ago, surrounded by the hundreds of bonsai trees that gave him his nickname. He was just three years old when the Japanese invaded Indonesia in 1942, rumbling down the road in trucks into which the confused Dutch colonials were herded. Males over 14 were stuffed in one camp, women and children in another. Deryk, his brother and mother ended up in a sealed-off corner of Jakarta, six families to a house. Deryk immigrated to Canada in 1957, ending up in Victoria as the gardener at Fable Cottage before it was barged off to Denman Island in 1993. In 1994, he came to the Sooke Potholes, where then-owner Albert Yuen wanted him to grow food for the lodge Yuen was building there. Deertrails lodge was never finished — towering stone chimneys are all that remain of that dream — but Deryk remained in the nearby cabin, which he gradually transformed from a dilapidated shack into a rustic idyll, albeit one with no electricity or running water. 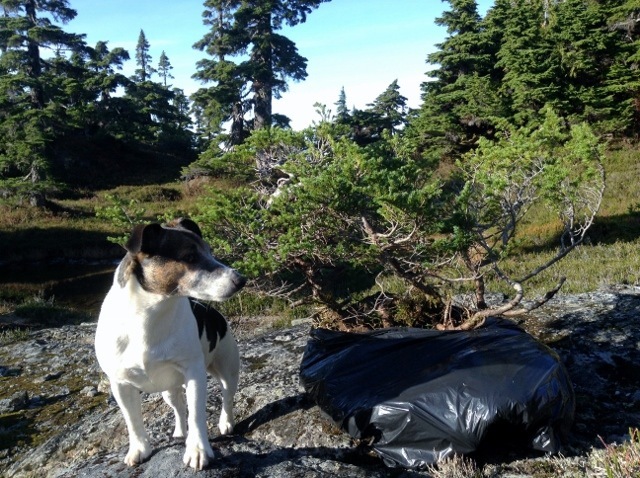 He stayed on as caretaker after The Land Conservancy bought the property. 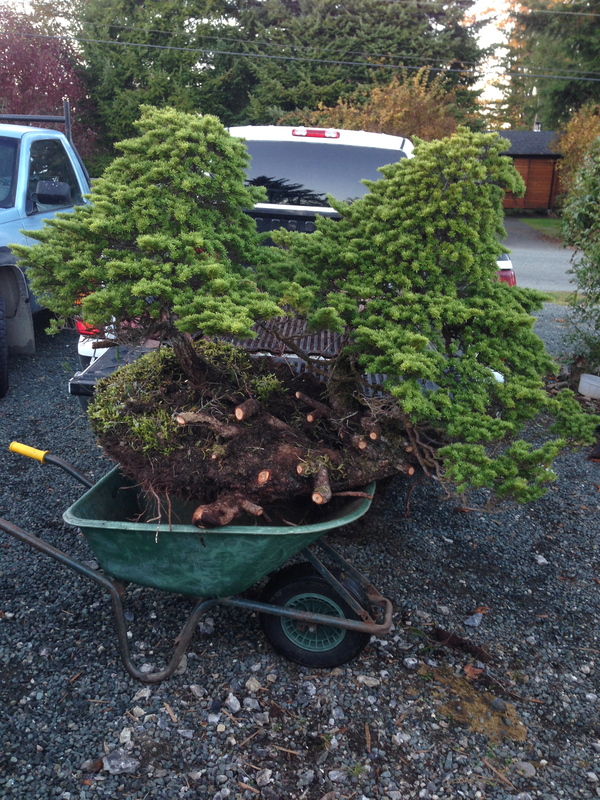 He also patiently tended the hundreds of bonsai trees (“living art,” he called them) that brought a fame he didn’t really want. Deryk was private — though hardly a hermit, those who knew him say. 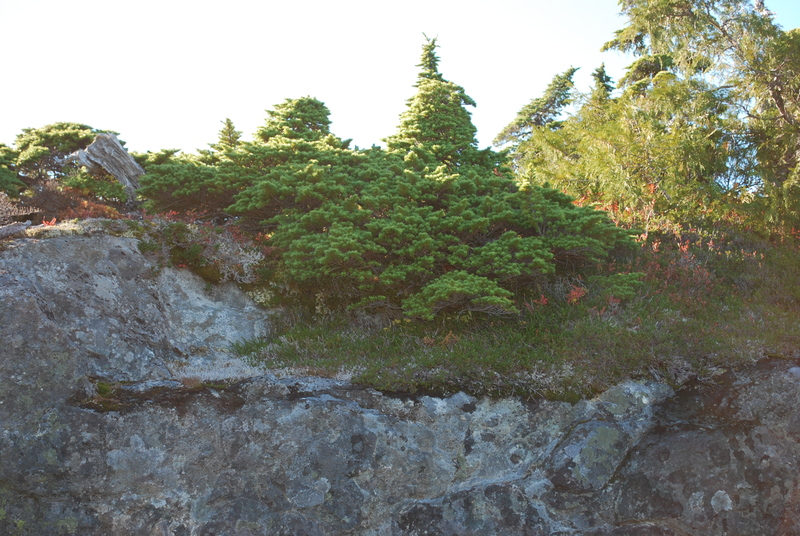 It was hard to remain reclusive with all those boots tromping through Sooke Potholes regional park. 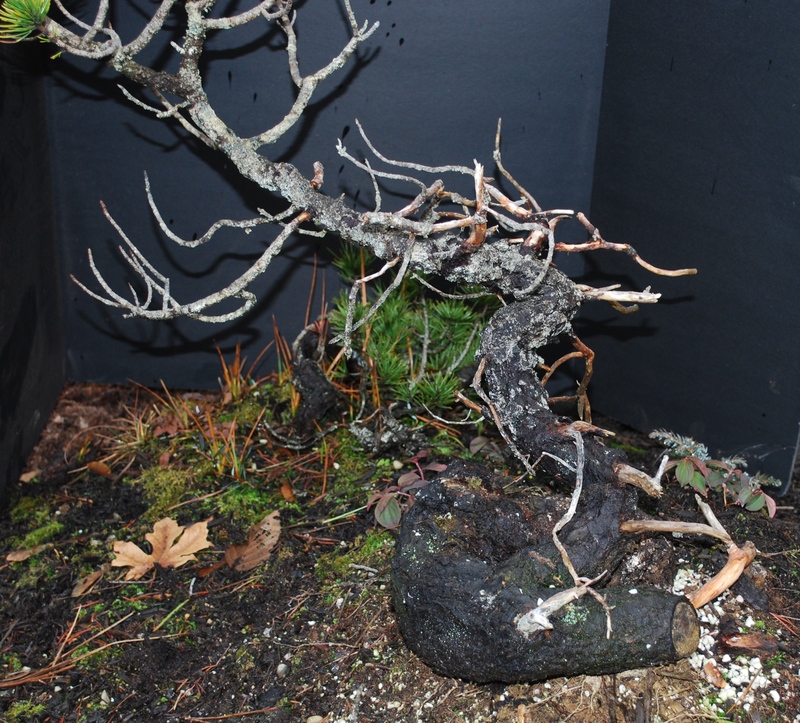 In a grim aside to a grim story, Sooke RCMP were told Sunday night that someone had stolen some bonsai trees from the property. That was just a day after a friend found Deryk’s body in a barn-sized CRD shed near the cabin — a home he had stood to lose. He had been reported missing last Tuesday, prompting a search that included more than 50 people on the ground, an RCMP helicopter, Mountie divers and the Cowichan Valley swift water rescue team, among others. The sprawling structure in which Deryk’s body was found had been among the first sites searched by a police dog. Deryk had disappeared days after police issued a statement saying he had been charged in relation to incidents last September involving children who were 12 and 13 at the time. The RCMP were looking to see if other complainants wanted to come forward. Wright said Monday the investigation remains open. 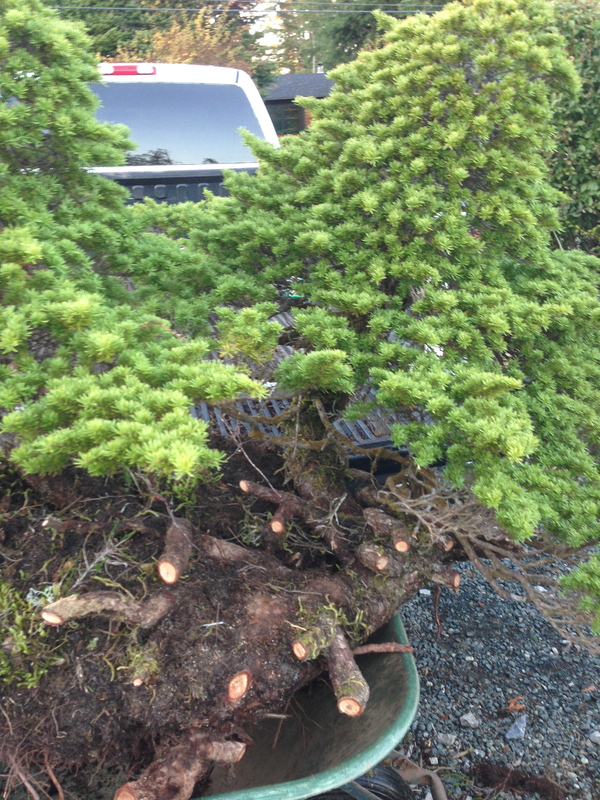 For Bonsai Bob, though, it’s all over. “It’s a sad ending,” Wright said.